The life in twenty first century has become faster than ever in every respect. In today world you can get everything at the tip of your finger, especially with the advent of the online services. There are hardly any people are engaged with any social networking sites. Therefore, with social media optimization you can give high exposure to your business, newly launched products and services etc. It can provide you with the best result within a small budget and short time. Our social media experts are equipped with the experience, skills, and knowledge, and they can substantially enhance the visibility of your website on search engines. If you have never taken the social services before, it may be a little difficult to understand about how the professionals make your website more salient. But that is not a great problem, and neither do you need to waste your time in thinking about it. Once you meet our social media experts, they would take care of everything to improve your business. Indiscriminate stuffing of photographs, videos, and keywords as well as using lengthy contents etc. is not going to take you anywhere. In the first place, you need to understand the social media optimization service very well as well as the strategies linked with it. Our experts are well-versed in social media optimization, and they know how to advertise your product on the social pages, which is one of the best ways of promoting products and services. Our experts are highly trained and professionals. They always stay updated with the latest techniques, thus you can ensure good results within short span of time. Being highly expertise in this industry we are always aware about the pros and cons. So, keeping them in mind we move forward, providing the best possible services to our esteemed clients. 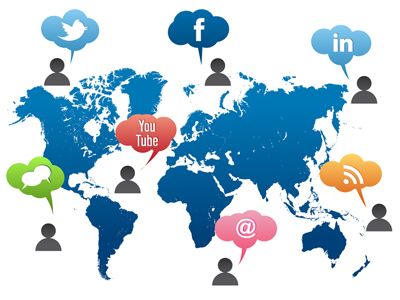 Helps in enhancing popularity and create brand awareness in the social networks. Synergizes the SEO and internet marketing campaigns for the website. Enhances the volume of good quality traffic to your website. Boosts link popularity and helps gaining non-reciprocal links.